Bonny Lease prepares the bread for his customers. The ‘construction worker mannequin’ at a road stretch, waving and signalling at motorists to prevent them from knocking over it. 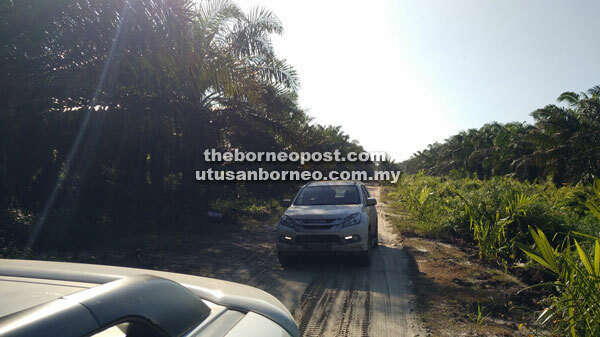 The Isuzu MU-X Type-S cruises along a plantation road that connects Marudi with Beluru, which can only be accessed using entry permits. The bone-cracking, potholed, muddy washboard road leading to Marudi needs to be upgraded to improve connectivity into this area. The Isuzu MU-X, which has given BAT7 a comfortable ride and clocked nearly 3,000km after the 16-day journey, being parked in front of Baram Civic Centre. KUCHING: Sarawak definitely has seen rapid development over the last five decades but let’s not forget that the world and technology are evolving faster than preparedness. After two weeks on the road, BAT7 has seen the good, the bad and the ugly. You know, I know and we all know that time has changed and Sarawak must keep up with the change. The thing is that we think we have all the time, but we don’t. The government deserves a pat on the back for doing a great job in developing the biggest state in the country, but to keep up with change, we need to work faster than the speed we are moving now, bearing in mind that we cannot recover the time that has passed. Good physical connectivity in the urban and rural areas is the ‘lifeline’ and of tremendous strategic importance for Sarawak to further progress and more importantly, for the digital economy to leapfrog as envisioned by Chief Minister Datuk Amar Abang Johari Tun Openg. Proper road networks that cover every nook and cranny in Sarawak are vital for the people across the state to function, prosper and thrive. It will turn people’s lives around, especially for those in the interior when more infrastructure development, services and facilities could reach them. Infrastructure development will open up and empower economic opportunities, attract investments and trade, reduce poverty as well as improve people’s livelihood and wellbeing – just to name a few. 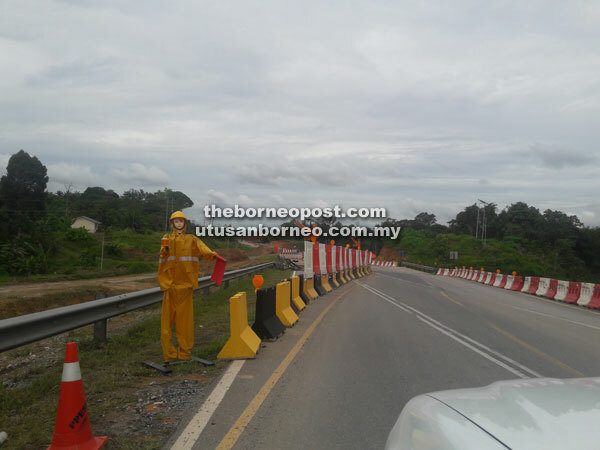 As such, embarking on the RM27-billion Pan Borneo Highway project is one of the good decisions that the government has made. 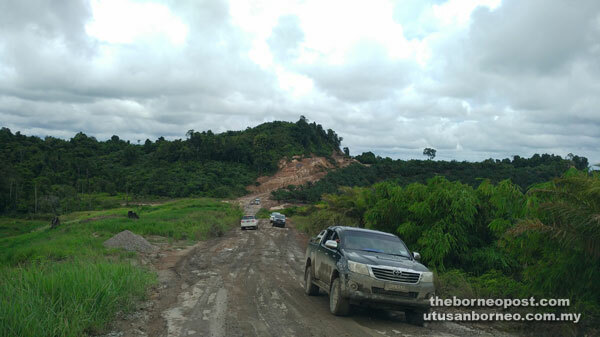 Road construction activities of clearing, grubbing, excavating and surfacing have already started to extend the road stretching 2,333km, which will connect Sematan in Sarawak with Tawau in Sabah. It has been a delight having to drive past several wide and smooth stretches where construction works seem to be near completion. As such, we appreciate the workers on the ground, who are working tirelessly to realise our dream of having better and smoother road connectivity, including the many ‘construction worker mannequins’ for taking the unrewarding job of standing at the beginning and end of every stretch, as well as at every bend under construction to wave and signal at motorists, preventing them (motorists) from hitting them (mannequins). We anticipate the completion of this highway will, in turn, create many possibilities to achieve Sarawakians’ dream of a better life and future. There is no time to waste, play the blaming game, or find excuses and procrastinate because change is inevitable. One must not linger to mourn the bad decisions; instead, overcome them with good ones. It is time to make it happen and shock everyone. BAT7 also wants to thank the many people we have met along the journey for helping and facilitating to make our jobs easier; we applaud the bold and courageous leaders who have come forward to be the voice of their people without fear or favour. The Malay saying ‘ikan di laut, asam di darat – boleh bertemu di kuali juga’ (fish in the sea, tamarind on land – can still meet in the wok) aptly depicts the friendships that we have forged in the most unexpected places throughout this roadtrip in search of the diverse experiences that the cities and towns up north of Sarawak have to offer. We find that the majority of youths whom we met throughout this 16-day journey are inspiring, resourceful and unassuming. Among the impressive groups of young people whom we came across were those from Belaga, in the upper reaches of Rajang River. Even with limited resources and only one futsal court, they were still able to hold a tournament with participation of at least 170 players. We also met some young working adults who traded the comforts of their homes to earn a living in places that were foreign for them. Some are civil servants serving as teachers in rural towns such as Long Lama, while several others work in the private sector like the engineers working at Samalaju Industrial Park. We take our hats off particularly to the rural teachers. 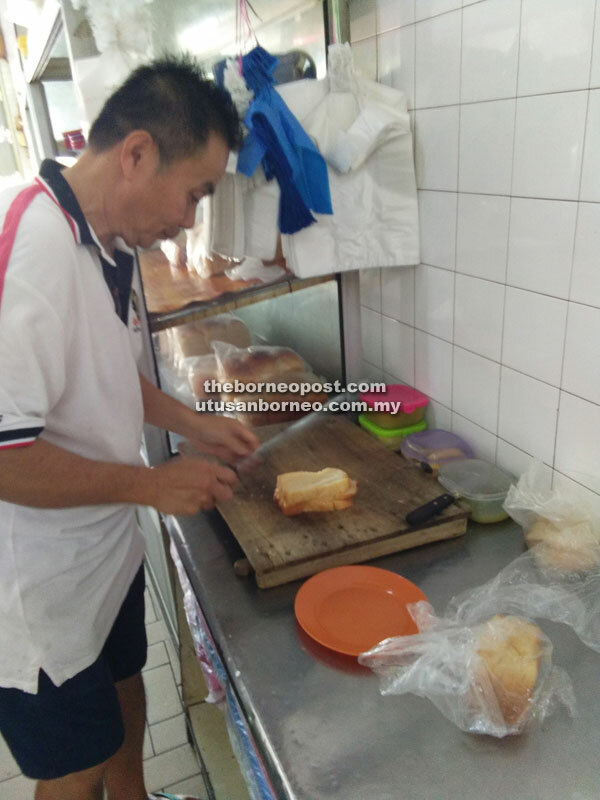 Even SMK Long Lama’s parents-teachers association (PTA) member Mok Chiaw Min agreed with us in saying that the teachers attached to the school were the most hardworking people that he had ever met. He credited the success of the students and achievements of the school to the teachers, who came to serve from all over Sarawak and Peninsular Malaysia. Another group of inspiring teachers whom BAT 7 came across is from SK Sungai Arang, Marudi who are living in dilapidated quarters. Besides the fear that their quarters might collapse anytime, the brave teachers and school staff members also had to deal with crocodiles, which had been encroaching the school’s compound. After conducting a survey last Saturday, Sarawak Forestry Corporation (SFC) later confirmed the teachers’ fear that Sungai Arang indeed had the highest population of crocodiles in all river systems in the Baram area. Nonetheless, SFC announced two days ago that another survey had to be conducted before deciding on the culling method, as well as on areas to be identified as crocodile removal zones (CRZs) in Sungai Arang. Before a human-wildlife conflict arises in the area, we hope that prompt action would be taken to ensure the safety of the school-children. Not all things are sparkles and sunshine when it comes to youths in the rural areas. Pemanca Tony Kulleh shared with us the rising number of drug addicts in Sungai Asap, which he said was worrisome. As the first step in solving a problem is recognising there is one – Tony and his fellow community members have identified at least 30 drug addicts in their longhouse. 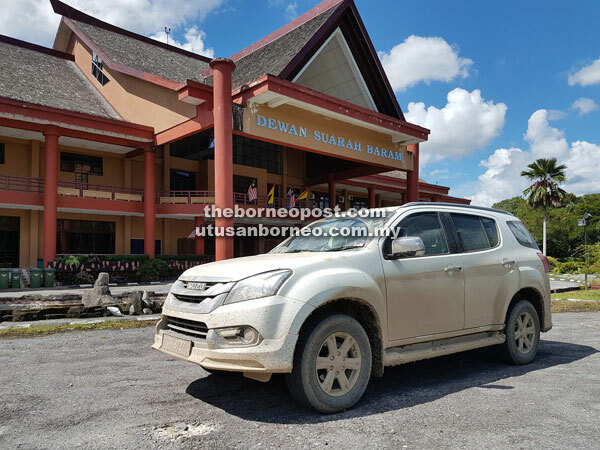 We could only hope that the relevant authorities would hear the plight of Sungai Asap’s parents and teachers, and find ways to curb the drug problem in the area. The people whom BAT7 met in every town over the past 16 days had been very accommodating and friendly, and were very helpful in giving the directions so that no one went off the beaten track and got lost. One of the fastest ways for BAT7 to break the ice with the locals in unfamiliar towns was to talk and ask them something that was interesting, common, peculiar and popular. For a member of BAT7, there was no better way than to ask them about their must-try food. 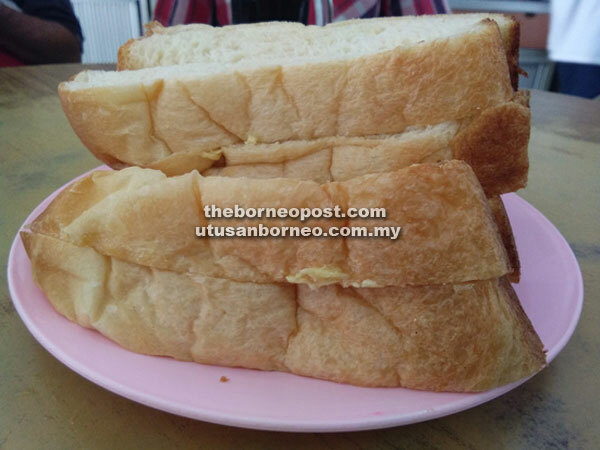 Topping the list for a member of BAT7 would be the velvety stir-fried kway teow of Marudi at a food section in Marudi Council Market, and the soft bread at Jeng Seng Loong Cafe in the town. These hearty dishes are available from as early as 6am till mid-morning, and BAT7 would recommend them to anyone who visits the town. In Long Lama town, the Chinese steamed meat bun at Aik Thai and the turnip cake fritters at Tek Huat are the must-try snacks. Should you lose your direction, you can always ask a prominent and part-time See Hua Daily News senior reporter Lai Khee Pieng. Lai not only knows the history of the town and the daily issues affecting the area and its people, but he is also a master of palm reading and can share with you your fortune and destiny. BAT7 members hope to visit and come, in their personal capacity, again to these towns not only for their food and their snacks but also to build a better bond with the locals in the spirit of brotherhood irrespective of race, culture and religion. The overall observation of BAT7 after clocking in almost 3,000km to Marudi and back is that there is a long way to go towards realising the dream of the state government to become a developed economy by 2030. Currently, aggressive efforts both by the government and the private sector, as well as the people on the ground, are going into a synchronised pattern – one that points to the future that would be based on the planning, vision and implementation that the government has put into place. Therefore in sharing the same vision, there is no time for Sarawakians to be indifferent or lackadaisical towards achieving the dreams that will make Sarawak great.